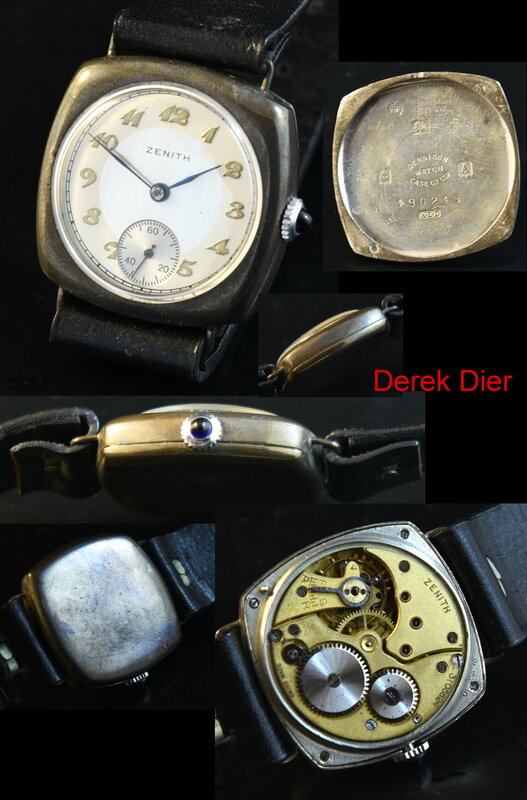 This is a 1930’s Sterling Silver vintage 1930’s ZENITH measuring a smaller 31mm. across (as these watches including cushion ROLEX were often this size during this era) in a cushion shaped case. The two-tone dial was expertly restored while maintaining the original hands. The manual winding movement was just cleaned and accurate. 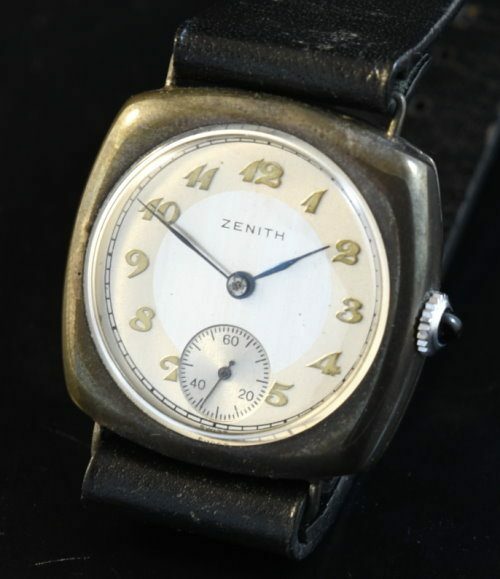 If you are a ZENITH collector, this will be a great early find to add to your collection. Just $795.